The days are getting shorter, there’s a chill in the air and your little goblins are no doubt assembling their costumes and plotting their trick-or-treating for maximum candy intake. Autumn has arrived. If you need help getting into the Halloween spirit, here are 10 family-friendly events happening in October that’ll make you grin like a jack-o’-lantern. Hartwood Acres Park is going to be lit this Halloween season! From Oct. 4-28, more than 5,000 hand-carved, illuminated pumpkins will line a 1/3-mile jack o’ lantern trail called Jack’s Lane. 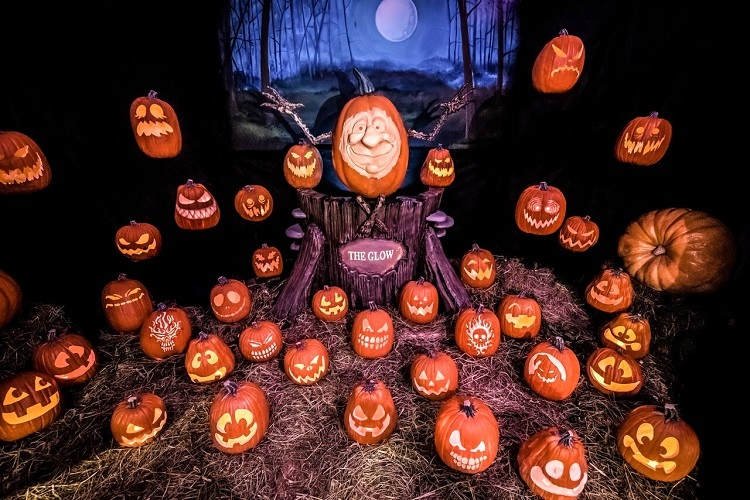 There will be gourds stationed on a ghostly pirate ship, pumpkins perched atop each other and nestled in with larger-than-life displays depicting dinosaurs, superheroes, princesses and even your favorite movie stars. The scare-less event also will offer fall treats and drinks. Pittsburgh is one of only four cities, including Washington, D.C., Charlotte and Philadelphia, to host this illuminating experience. Pumpkins come to life at The Glow. Photo courtesy of The Glow. Pumpkins aren’t the only spherical crops that rule the fall. On Oct. 6 from 10 a.m. to 4 p.m., the tiny town of Mars will pay tribute to the apple during the 34th Annual Applefest. There will be food — including an apple pie baking contest — plus vendors, games, crafts and entertainment. Since 2014, the Pittsburgh Freaky Fair has been the go-to shopping experience for the fun and strange and unusual. On Sat., Oct. 6 from noon to 5 p.m., creepy crafters, artists and other purveyors of the weird will invade a former H&M clothing store to sell their wares. In addition to vendors, there will be offbeat entertainers, tarot card and palm readers and DJs. General admission is free, but guests can pay $10 to access Early Bat Hour from 11 a.m. to noon and get a reusable shopping bag for their bounty. The first 50 Early Bats are guaranteed to receive donated goodies, coupons and other tricks or treats from participating vendors and area businesses in their bag. Kids under 10 are still free during this time. 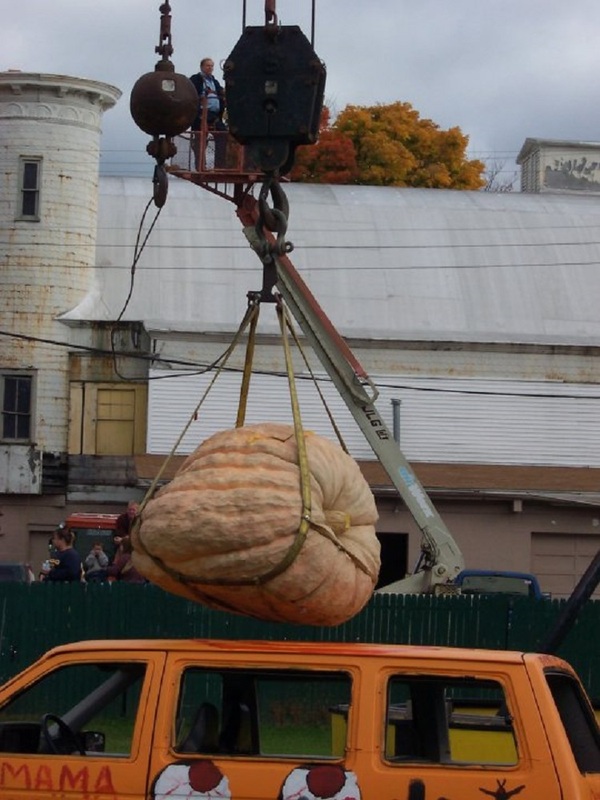 Want to see a 1,000-pound pumpkin hoisted into the air by a giant crane and then dropped onto a car? Of course, you do! The smashing good time — which takes place Saturday, Oct. 13 at 5 p.m. and again Sunday, Oct. 14 at 4 p.m. — is just one aspect of the Fall Pumpkin Fest at Conneaut Lake Park. Starting on Friday, Oct. 12, there will be rides, games, crafts, entertainment and loads of food. Smashing pumpkins (and vehicles!) is a popular pastime at Conneaut Lake Park. Photo courtesy of Conneaut Lake Park. Pumpkin Patch Trolley at the Pennsylvania Trolley Museum, weekends beginning Oct. 13, Washington, Pa.
Catch a ride on the Pumpkin Patch Trolley the last three weekends in October at the Pennsylvania Trolley Museum. Historic cars will be decorated for the season as they chug down the tracks to the pumpkin patch, where kids can select a gourd — included in the admission cost — and decorate it. Complimentary fall-themed games and refreshments will be provided and participants are encouraged to arrive in costume. All aboard! Pile the kids into the car and head out to Dependable Drive-In on Oct. 20 for an evening of old-school, cinematic fun. During the Spook-tacular event, there will be three screens showing flicks to suit every scare-level: Screen One will focus on family-friendly fare with an animated Halloween cartoon, “Goosebumps 2,” “The House With a Clock In Its Walls” and “Hotel Transylvania 3.” Screen Two will feature scarier stuff, including the new “Halloween.” And over on Screen Three you’ll find vintage movies including “Plan 9 From Outer Space.” Before the movies, kids can go Truck-Or-Treating around the parking lot or grab a Pumpkin Funnel Cake at one of the concession stands. Prizes will be awarded for the best costumes and car decorations. 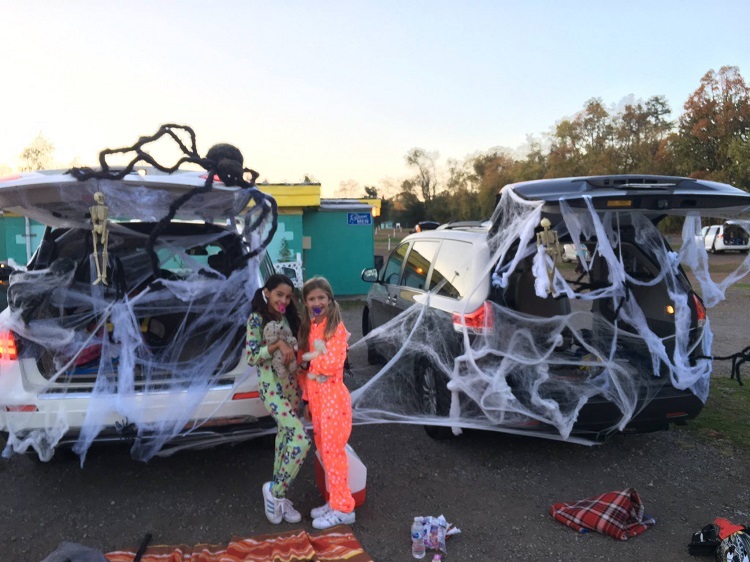 People and their cars get decked out for Dependable Drive-In’s annual Spook-tacular. Photo courtesy of Dependable Drive-In. The post 10 great events for Pittsburgh area families in October appeared first on NEXTpittsburgh.